Airbus A380 is a wide-body, long-range double-decker aircraft manufactured by Airbus. It is currently the biggest passenger airplane in the world, with two full-length passenger decks. On October 12th 2007, Singapore Airlines took the first delivery of A380 with aircraft serial number “3” and registration number 9V-SKA; the first two were Airbus’ own. Another cargo plane that is comparable with it is Antonov An-225, also known as Mriya. Work on the development of Airbus A380 has begun since mid-1988 when a group of engineers from Airbus, led by Jean Roeder, work in secret to develop an ultra-high capacity airliner (UHCA), primarily targeted to complete Airbus’ own aircraft market as well as breaking dominance enjoyed by Boeing since the introduction of Boeing 747. After a formal presentation to Airbus’ President and CEO in June 1990, Roeder was given green light to continue his project further. The megaproject was announced in 1990 Farnborough Air Show, together with goal to have 15% lower operating costs than 747-400. Four teams made up by Airbus’ partners, namely Aerospatiale, British Aerospace, Deutche Aerospace AG and CASA propose new technologies for the future aircraft design. They presented the idea to Airbus in 1992 and the most competitive ones were selected. In June 1994, Airbus announced its own plan to develop a very large airliner, named A3XX. Although the plan seemingly hampered by 1997 Financial Crisis, Airbus continues the development, further targeting 15-20% less operating cost in comparison with Boeing 747. One of the biggest improvement in A380 is its noise suppression. Some passengers have even complained about silence in flight decks. The engine noise is also 50% less than 747-400 during takeoff. About 20% of the airframe consists of composite materials. Integrated Modular Avionics (IMA) architecture is used in A380s. It was previously commonly found in advanced military aircraft such as F-22 Raptor and Dassault Rafale. The main IMA system was develoed by Thales Group. Airbus A380 has eight identical 15 cm x 20 cm (5.9 in x 7.9 in) liquid crystal displays (LCD), comprising two primary flight displays (PFD), two navigation displays, one engine parameter display, one system display and two multi-function display (MFD). The MFDs have QWERTY keyboards complete with trackballs, making pilot inputs much easier. Airbus A380 is powered by 4 turbofan engines. There are two types of turbofan engines available for A380, namely Rolls-Royce Trent 900 family (A380-841, A380-842, A380-843F) as well as Engine Alliance’s GP7000 (A380-861 and A380-863F). Rolls-Royce Trent 970 is one of engine variants used. Thrust reversers were not incorporated in its early design. However, the need arises when Airbus feels the need to use something more than just existing brake mechanism in the event of slippery runway. Only two inner engines have thrust reversers while the outer engines do not have them. This is to ensure minimal debris movement as the plane lands. The wings of Airbus A380 is sized up to Minimum Take-off Weight (MTOW) of over 650 tonnes to accommodate future bigger variants. Wingtips are also present to reduce induced drag, increase fuel efficiency and performance. March 29th 2006, Airbus A380 received certification from European Aviation Safety Agency (EASA) and US Federal Aviation Administration (FAA) to carry up to 853 passengers. For all-economy class configuration, A380 is certified to carry up to 853 passengers. The current and the only A380 variant in production is A380-800. So far, Airbus has yet to keep up with huge demand from customers. There were plans for a higher capacity of A380-800, namely A380-900. However, this plan is postponed until production of A380-800 stabilize. Originally, Airbus accepted orders for freighter version of its A380. However, the plan is also postponed until the production lines of A380 stabilize. Emirates is leading the list for most A380 orders to date, with 140 firm orders. As of November 2014, Airbus has delivered 55 of them, making Emirates the airline with the most number of A380 available. Etihad Airways (Etihad) placed firm orders of 10 Airbus A380s with another 5 option orders. The aircraft is scheduled to be delivered in 2014. Etihad introduced a three-room suite, called the Residence onboard its A380s. One of the routes available for the Residence is Abu Dhabi (AUH) to London (LHR) route. In 2003, Malaysia Airlines signed a contract to purchase six Airbus A380-800. First delivery of the aircraft is expected to take place in 2007 but it was delayed due to manufacturer’s problem. The first commercial flight of A380 by Malaysia Airlines was on July 1st 2012, from London (LHR) to Kuala Lumpur (KUL). Malaysia Airlines as six A380s to date. In all six, only three classes are configured; no premium economy class is offered. Before the delivery took place, KL International Airport underwent several modifications to accommodate the huge size of A380. This includes jetway and runway modifications. Flights that use A380 include KUL-LHR. The airlines used to utilize A380 for flights between Kuala Lumpur (KUL) to Charles de Gaulle Airport, Paris (CDG) but the flight has been canceled due to low demand. Malaysia Airlines intends to replace all of its A380s with A350s for its KUL-LHR flights. 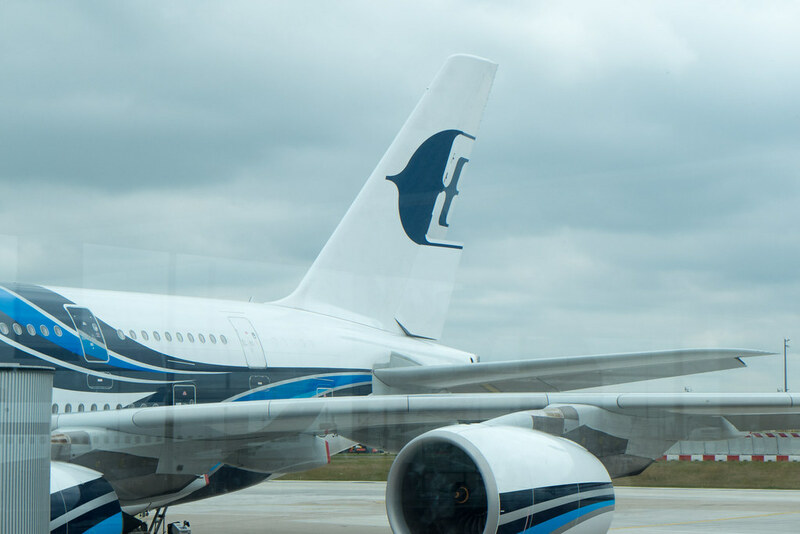 According a news report by AviationDaily, Malaysia Airlines Berhad (MAB), the operating company of Malaysia Airlines had intended to sell two out of its six A380s in 2015. However, they were not able to find a buyer for those airliners. Currently, one of the airliner is used almost full-time for charter operations such as carrying Muslims between Kuala Lumpur, Malaysia to Jeddah, Saudi Arabia. The airline plans to retire all of its A380s by 2018, once it has enough A350s to cover its KUL-LHR flights. Singapore Airlines is the launch customer of the A380. The first aircraft, MSN 003 (registered as 9V-SKA) was delivered to SIA on October 15th 2007. There is no fatal or hull loss incident involving A380 to date. Airbus will continue to produce other variants of A380, namely A380-900 and A380F, once production lines of A380 becomes stable.